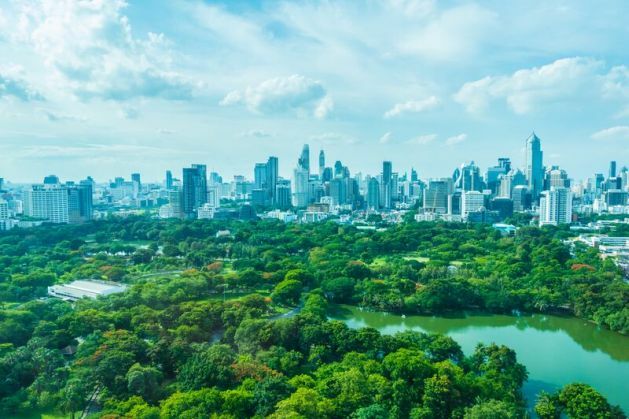 BANGKOK, Thailand, Mar 13 2018 - Thailand, a member of GGGI, has set an ambitious greenhouse gas (GHG) reduction target of 20-25% from the business-as-usual level by 2030 under the Paris Agreement. However, the country is faced with a bold challenge in securing resources for green growth and low-carbon investment. The Green Climate Fund (GCF), a fund established within the framework of the United Nations Framework Convention on Climate Change (UNFCCC) to assist developing countries in adaptation and mitigation practices to respond to climate change, is viewed as a key potential source for green growth development. With a strong partnership between the Thai Government and GGGI, the Advancing Thailand’s Access to GCF project has been launched with the funding support from GCF Readiness. To access the Fund, Thailand has successfully developed its Country Program, criteria for no objection procedure, and other necessary elements. With these necessities in place, the country is in a better position to pursue the GCF’s funding opportunities. Nonetheless, there are a few key challenges preventing the country to effectively access the GCF’s resources. These are limited technical capacity of the government in assessing potential GCF projects, unidentified priority sectors for project pipeline development; and the needs for private sector engagement. With a strong partnership between the Thai Government and GGGI, the Advancing Thailand’s Access to GCF project has been launched with the funding support from GCF Readiness. Ultimately, the project aims to assist Thailand to overcome financial gaps in green growth development by accelerating the country to effectively access the GCF’s resources. The project will strengthen the project evaluation process; develop an investment plan for the industrial sector; and importantly engage with the private sector in the investment planning process. “The financial gap has always been a big challenge for Thailand in pursuing our green growth and low carbon development. We are very pleased that we will be working very closely with GGGI to address this key challenge. With this project, we hope that the country, especially the industrial sector – which is one of the major GHG reduction contributors, will be ready to access the GCF’s resources and on track to achieve our GHG reduction targets” said Dr. Phirun Saiyasitpanich, Director of Climate Change Management and Coordination Division, Office of Natural Resources and Environmental Policy and Planning, Ministry of Natural Resources and Environment. “This partnership really demonstrates that GGGI is a trusted partner for the government. We are delighted to work with Thailand to close the financial gap for green growth and low carbon development. 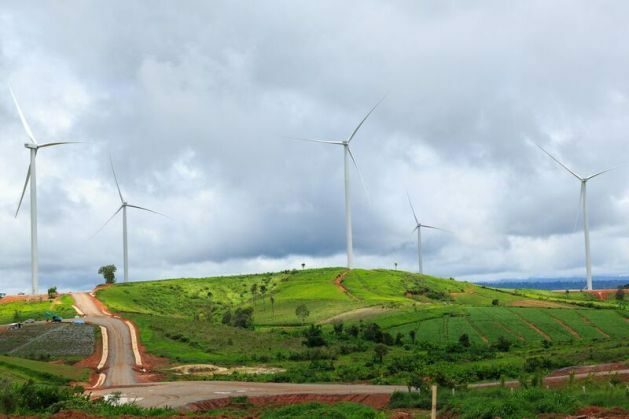 It also marks an important milestone between GGGI and the GCF in working with developing countries to reduce their GHG” said Khan Ram-Indra, Country Representative for Thailand, GGGI. Based in Seoul, GGGI is an intergovernmental organization that supports developing country governments transition to a model of economic growth that is environmentally sustainable and socially inclusive. GGGI delivers programs in 26 partner countries with technical support, capacity building, policy planning & implementation, and by helping to build a pipeline of bankable green investment projects.